Wanaka eloping wedding in New Zealand is the perfect way to enjoy a stress free wedding day. Just imagine the two of you, on holiday, sleeping in late, waking up for coffee and delicous breakfast. Hair and make up arrives at 10am and by midday you are flying to the top of a mountain with your lover to exchange vows on top of the world. Now you are legally married and have amazing panoramic wedding photos and video to take home and share. The beauty of Wanaka is it’s so relaxed. It has so much to offer. If you want to keep busy the town has a very relaxed and laid back feel. The scenery is world class and best of all it’s a just a quick helicopter flight away. As a photographer and videographer we are truly blessed with the amount of natural highlights the Otago region offers. Dramatic sun rises and sunsets, snow capped mountains, crystal blue lakes and white water rivers. Each season offers new and exciting photo oppotunties. We know the best areas for photos for each time of year. Being an alpine environment the weather is changeable and having back up options is always a good idea. At Eloping Weddings we have this covered. A NZ marriage licence require a second option and having one that still offers excellent photo opportunities is all part an parcel of a relaxed wedding day. Wanaka is a little town that offers a large array of other very beautiful lakes close by. For example Lake Hayes is only a 15 minute drive and this little lake will take your breath away. Its a good idea to employ locals like us who know the region very well. Knowing the best areas for things like photos and ceremony locations is a must for a successful elopement. 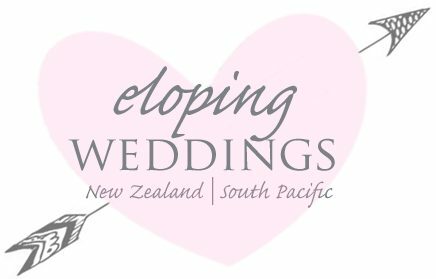 Eloping Weddings new Zealand also know all the best wedding vendors and are happy to recommend good people in the industry. A Wanaka eloping wedding and intimate ceremonies are our speciality. We would absolutely love to chat about creating you a lovely wedding. Reach out to us on +6421411289 to talk to a real person.